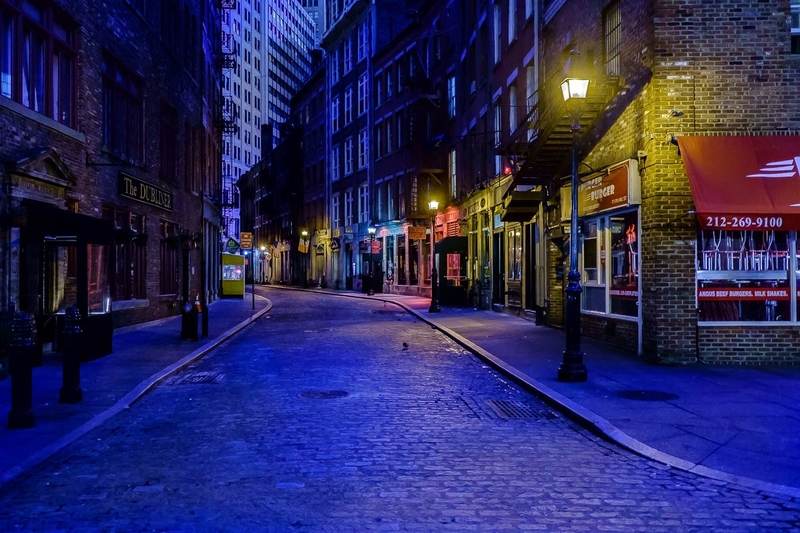 This is an early morning shot of Stone Street, one of the few locations in downtown Manhattan that has not been completely rebuilt and lost all of its old atmosphere. I am in the midst of transferring my Aperture catalog(s) to Lightroom, which is as much fun as it sounds. I have stepped up the urgency as I have a new computer on order and would like to have this completed before switching everything over to the new machine. One upside is that as I work my way through the archives I sometimes find neat images like this that I had previously overlooked. This image looks so much that have been captured somere in London! Nice capture, and the location is worth going back with a tripod and taking few different exposures. London street photographer recently posted..My photography work and interview featured on Picsart. Hi Nikolay, thanks for stopping by and the comment. I checked out your gallery and will definitely keep visiting to see what’s new! Thanks Mark, this will make me actually go out and create some new images!